Month of Bond: Who is the Best James Bond? It feels unfair to judge George Lazenby against the other actors who have played Bond because they all got to do it more than once but it doesn’t help that Lazenby also gets one of the worst Bond films. I found On Her Majesty’s Secret Service to be quite dull and Lazenby’s version of Bond wasn’t much better. He never feels like he gets the confidence or grandeur of the role and at times is left smiling like a buffoon rather than like a charming gentleman! When watching all of the James Bond films, I can only describe Moore’s 7 movies as painful. After Connery had developed a cool, calm, action-ready womaniser, Moore managed to make the role a silly, camp joke. During his tenure Bond is a clown, an astronaut, swings through trees like Tarzan and wrestles a rubber snake. It’s no wonder Timothy Dalton’s Bond went so far in the other direction, something had to be done to remove the foul taste of Moore’s ridiculous 007. For the first half of The Living Daylights, Timothy Dalton is doing his best Bond impression. It is only when revenge is on his mind that the actor made the role something it hadn’t really been before – mature! Dalton’s Bond was vengeful, violent and unforgiving. There were still gadgets and the occasional joke but mainly his Bond films were 90s thrillers and all the better because of it. The current James Bond hasn’t really had chance to properly play the spy yet. Craig successfully rebooted and transformed Bond into a 21st Century spy, without gadgets or quips and more of a focused, raw killing machine. His films are bloody and mature (much like Dalton’s) and Craig has done away with the tropes we would associate with Bond. Here’s hoping that Spectre is a return to the slightly lighter side that the top two managed to incorporate and balance so well. 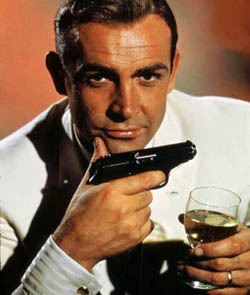 Sean Connery introduced and crafted Bond. He brought the character to the screen and set the benchmark that others would follow. Connery managed to mix the violence, the charm, the cold-hearted, poor taste quips and make the silly look a little less ridiculous. It goes to show how good he was in the role when he manages to come back and effectively play Bond years after he gave the spy up and make Moore’s version look even more sub-par. 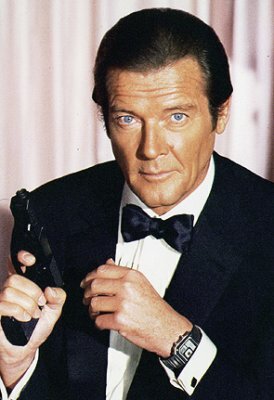 The controversial choice but the man who best epitomised Bond. Brosnan got what it was to play Bond. He never took the role too seriously, offering a smile or pun at the right moment but could also handle the more serious and action-focused moments well too. Goldeneye is one of the best Bond films in the series because it was a culmination of everything that had gone before in one key character (yes, even Moore!). Brosnan would get a raw deal with Die Another Day but his first three films are some of the best in the series. I like the order of your list! For me Connery is still tops with Brosnan, Dalton and Craig right behind. I do enjoy some of Moore’s entries with FYEO being my favorite of his films. Great post! That’s one of Moore’s films that I dislike. Just not enough to it and kind of dull. It was a close call between Connery and Brosnan but Brosnan is the Bond I grew up with and that has a big impact! I couldn’t make a single scale comparison unless I knew they were all pursuing the same goal – which I don’t think was the case. So, here’s my version. Category 1: “Fun” Bond. Brosnan, then Connery. Category 2: “Serious” Bond, Craig, then Dalton. Category 3: “A for Effort” Bond. Lazenby. If by movies, only Moore’s films get divvied up and scattered among those categories. That’s a great way of assessing it and I agree with you completely. Re-watching is a good idea just not a lot in one go and certainly skip a lot of Moore’s. 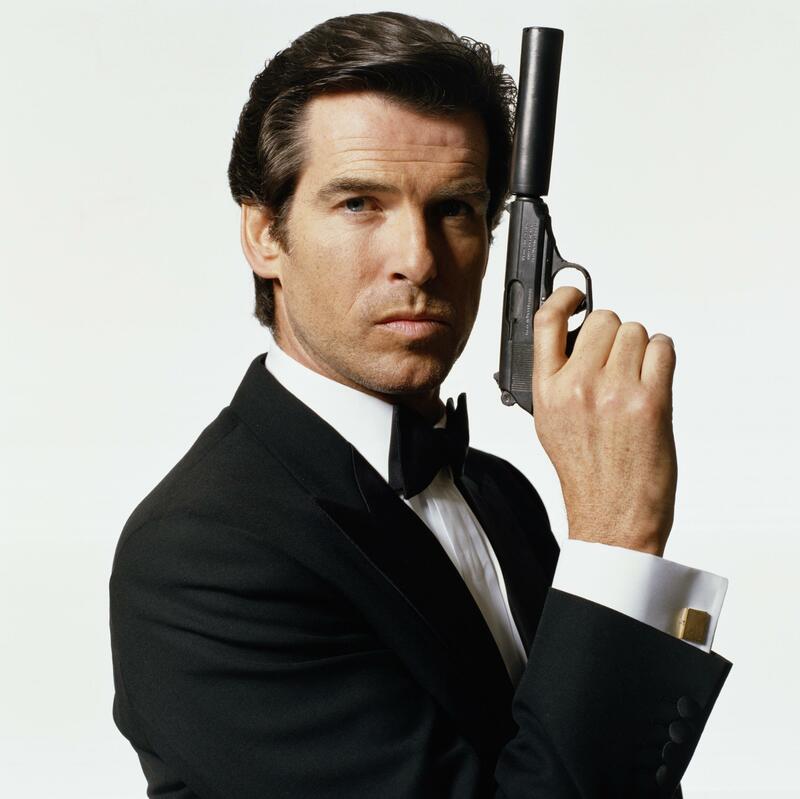 Brosnan is my favorite Bond too. Moore gets a bad rap because of the varying quality of his films. Craig is almost playing a different character and benefits from the reboot treatment. Cool list! Lazenby, Moore, Craig, Connery, Dalton, Brosnan. I think Broz was the first one to take a bit from all of the previous Bond’s and perfectly balance the suave, lighthearted, but ultimately deadly agent. I applaud Dalton for going back to the novels, and laying the foundations for a Craig-era bond decades earlier. It’s hard to single out each Bond/Actor as just a character though as the lines, action, capability and tone of the films are all over the place. Imagine Dalton in Moonraker, or Connery in Die Another Day! I know, they don’t translate at all. That’s why I also struggle to imagine them all as the same character. I prefer thinking of Bond as a codename (which I mention in another post). Brosnan will always be “my Bond” to be honest and it’s a shame he finished on Die Another Day. Definitely, my Bond era. I know what you mean about the older generation but Moore… really? Well there are some surprises on that list ha. I so wish Dalton had done more. I always wonder whether we’d have gotten a more Daniel Craig Bond earlier if he’d been able to do more movies. I Agree completely agree with your list its like it was made by me. I don’t even need to put on my ranking because you just have to look at your own list again. I think Pierce Brosnan, Sean Connery and Daniel Craig have manged to create the perfet balance between the light and seductive Bond with the more action hero and serious Bond.